This Friday there are two public events at Glendon College in Toronto that explore the history of immigration to North America. They are part of the Borderlands Workshop, organized by a group of scholars that includes my York History colleague Ben Bryce. Since the workshop brings together scholars of immigration history from across Canada and the United States, these events are sure to provide lively discussion of a very relevant topic. Click on the posters or scroll down for more information. Friday, October 19 at the Glendon Manor at Glendon College, York University. 2 pm – 3:30 pm. 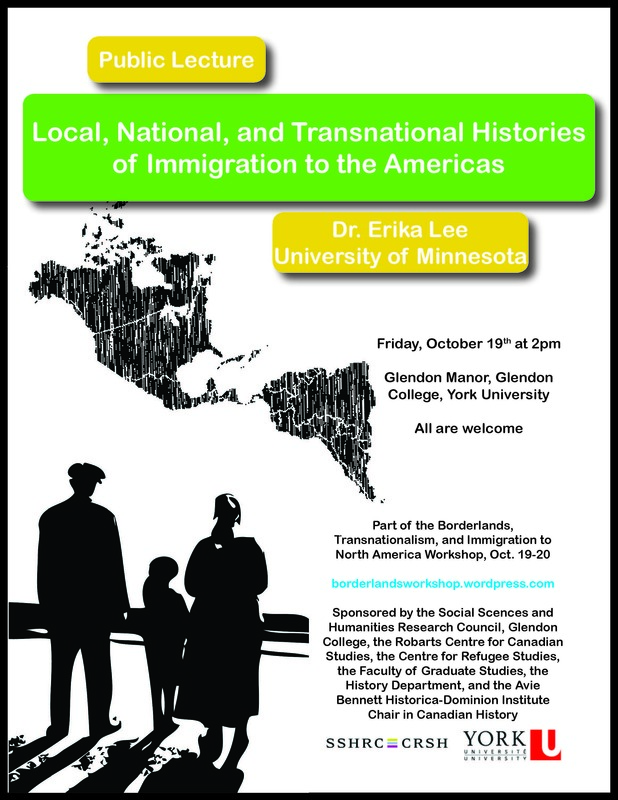 A public lecture given by Erika Lee, Professor of History, University of Minnesota, and Director of the Immigration History Research Center. 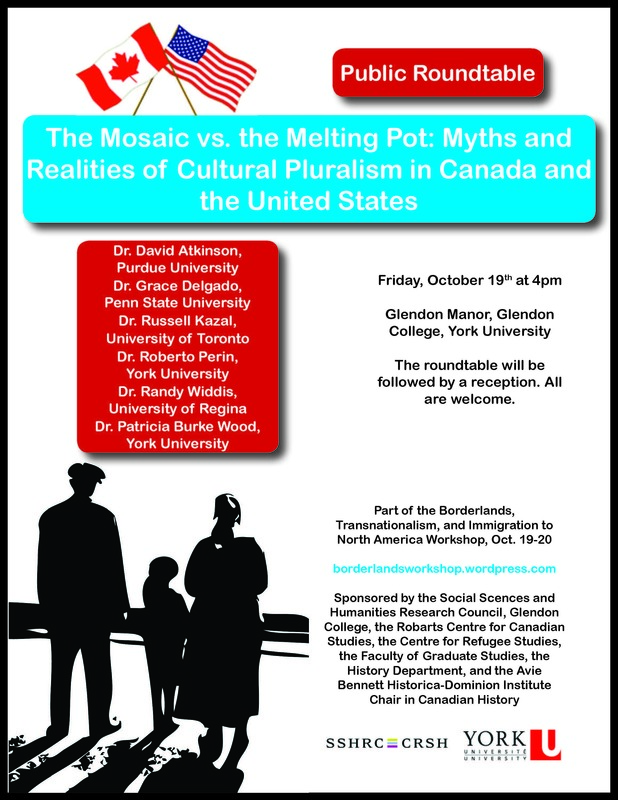 Friday, October 19 at the Glendon Manor at Glendon College, York University. 4 pm – 6 pm. Randy Widdis, Professor of Geography, University of Regina. David Atkinson, Assistant Professor of History, Purdue University. Grace Delgado, Assistant Professor of History, Pennsylvania State University. Russell Kazal, Associate Professor of History, University of Toronto. Patricia Burke Wood, Professor of Geography and Associate Dean of Faculty Affairs, York University. Roberto Perin, Professor of History at Glendon College, York University. The roundtable will be followed by a reception at Glendon Manor. This entry was posted on October 15, 2012 by Daniel in conferences and tagged Canada, Glendon, history, immigration, United States.